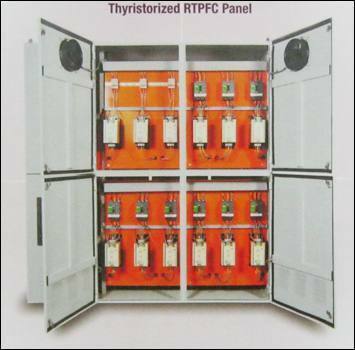 Dynamic APFC Panel systems are particularly used in applications with rapid and high load changes. These are automatically regulated systems for central compensation in low voltage distribution boards or for group compensation of sub-systems. De-tuned PFC systems for use in applications with non-linear loads i.e. harmonic loads. There are various designs tailor-made to suit your individual application. We, Syscon Energy Conservation Solutions Pvt. Ltd.from 1996 are one of the famous manufacturers, suppliers and traders of an extensive array of Electronics Products. Our offered range consists of best grade APFC Panel, Transient Voltage Surge Suppressors, and Power Factor Correction Capacitors. All offered ranges are manufactured using quality tested material. This electronics products range is highly required for their features likesuper performance, high efficiency, and damage resistance. Apart from this, we are offering Thermography and Power Quality Analysis Servicesto our valued clients.